Home Uncategorized HOW TO MAKE THE BEST OF AZTEC PRINTS? HOW TO MAKE THE BEST OF AZTEC PRINTS? What is the new talk of the fashion town, these days? It is none other than the Aztec Prints which has captured the hearts and minds of one and all. Aztec prints are said to be inspired from the tribal prints which appear to look graciously graphic and extremely stylish yet elegant. To acknowledge you, Ancient Aztec clothes were introduced to the world by the tribal people who formed the Aztec Empire in Central Mexico. This print which has been originated from the cultural group of Central Mexico has superbly succeeded in stamping the ramp and retail permanently. It adds attribute and character to the look of wearer in abundance. The Aztec prints are so cool and funky that they can be accompanied with anything and the best part is, they will still bestow you with a vibrant look. These prints imbibe of different solid shapes like triangles, circles, outlining etc with any of the two, vibrant and decent colors on the fabric, as per your choice. Though, even being listed on the top in the rating of latest trend, this print is not worn by many, but once you wear it with a proper styling, you are sure to fall in love with it. This Aztec print is a mixture of polkas, dots, stripes, chevrons and many more. The debut of the Aztec print was conducted on the modern runway in the year 2009 at the famous Matthew Williamson Spring /Summer Show. 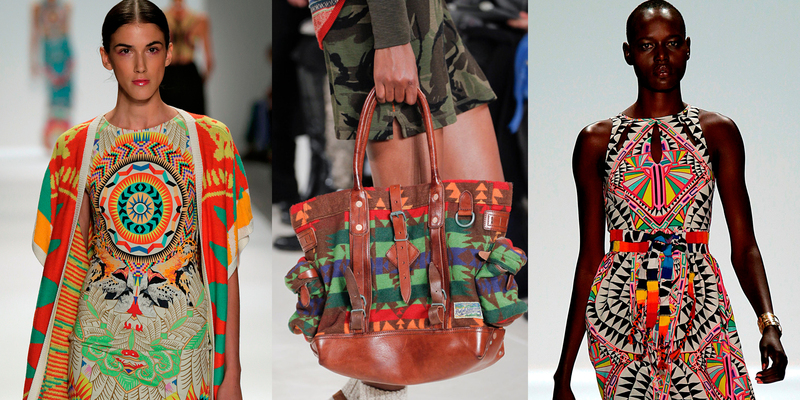 ARE AZTEC PRINTS, A PART OF THE FASHION WORLD? Aztec prints have been highly successful in capturing the fashion industry too and hence turned up to be a great source of inspiration for all the fashion divas out there throughout the entire world. The attractive color combinations, the distinct looking shapes and the combination of various styles and patterns have been the reason behind its craze and cult. 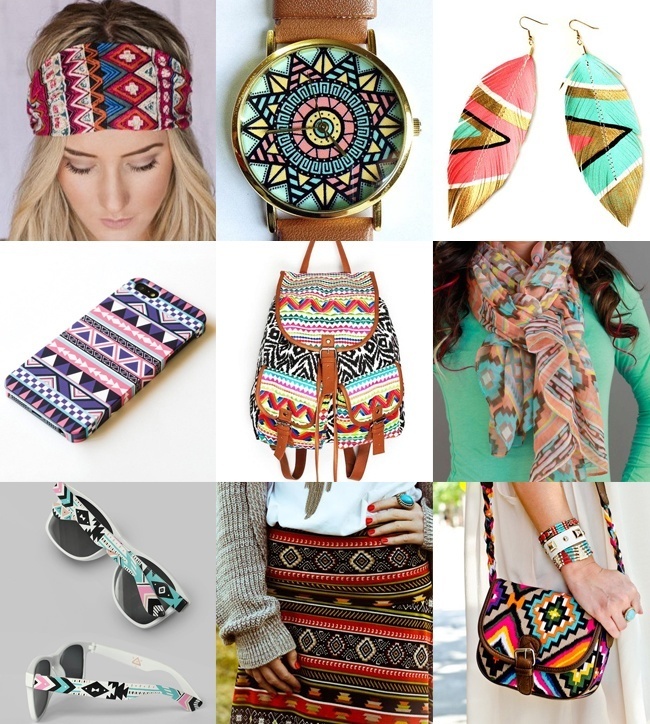 Any simple or trendy accessory when added to the company of Aztec Prints, gives it a complete look. Nothing has been left untouched by the hue of such crazy looking print. Right from head to toe, everything you wear can have Aztec print involved in it. So, one can imagine the popularity and increasing love for these. Here we will guide you on how can you pop up your look with Aztec printed leggings, Aztec printed skirts, Aztec tops, Aztec scarves, Aztec nail prints and various other Aztec accessories. For instance: If you have planned a Saturday night out at disco, Aztec printed shoes or sandals with any of your attire will add to the eve. Its morning and your boss ring you to call office immediately for an urgent meet, just get ready with any Aztec formal wear and be there on the given time. The meeting will have all eyes attracted towards you. Moreover, if it is about your meet with your beloved, carrying an Aztec printed clutch or handbag will also mark a statement of style. Anything and everything goes perfect when it comes to Aztec. HOW TO GO AZTEC IN EVERY SEASON? One need not to be bounded by any peculiar occasion, event, and seasons or time to wear this print. You can enjoy wearing it whenever you wish. Even if it is your personal choice to go according to the seasons of the year, you can introduce a style statement in every season of the year. 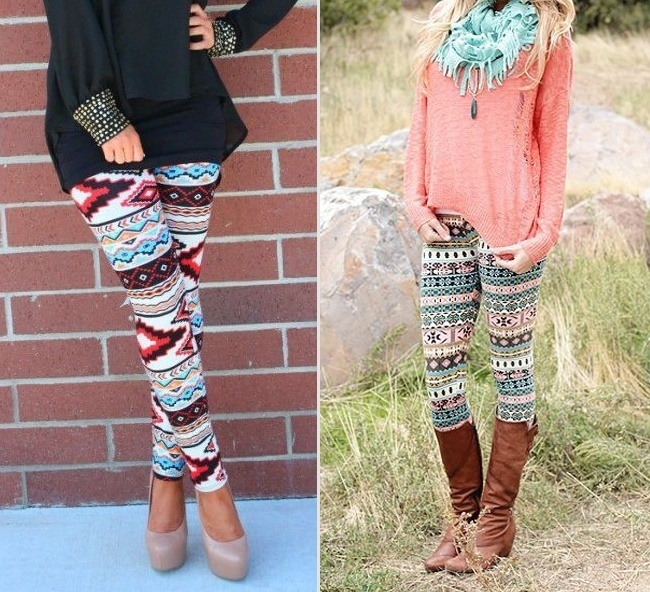 Aztec Prints for winters: During winter, Aztec printed leggings will go best with a short leather jacket. In addition, you can encircle an Aztec scarf around your neckline to become the head turner wherever you walk. Another idea could be to flaunt yourself by wearing an Aztec printed sweater along with simple denim jeans. 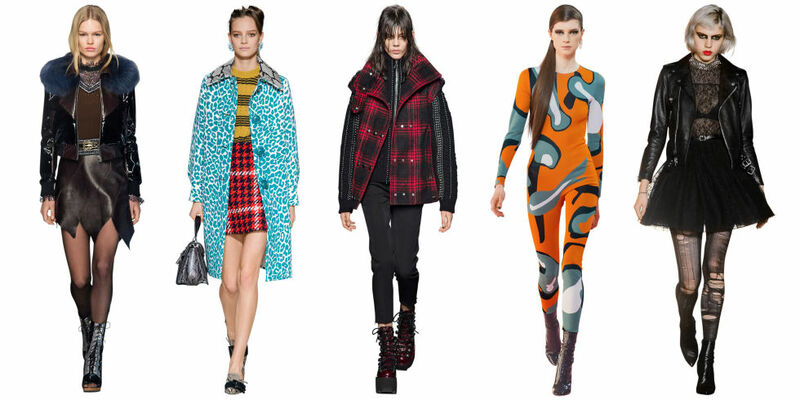 Any of such ideas can make your winters go trendy. 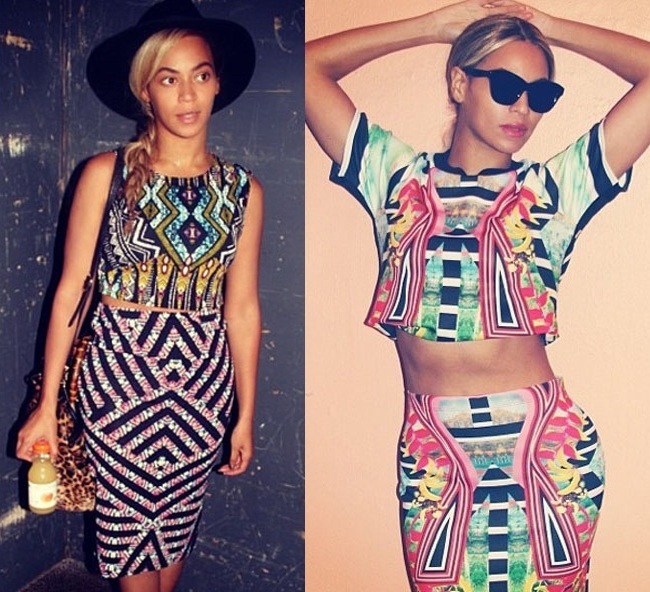 The style celebrity and famous Singer, Beyonce is a super fan of Aztec printed dresses especially the Aztec printed crop tops with high waists skirts. In the year 2012, March, during Paris Fashion Week, the brilliant fashion designer, Manish Arora also captured the rich hue of bright and vivid Aztec prints in the dresses designed by him. They had fuzzy edges as if designed with spray paint, was his creativity. The renowned accessory designer, Mallini Agrawalla from accessory label Malaga, quoted in her words, “”The beauty of Aztec prints is that they are adaptable and flexible. They come in gorgeous shades that appeal to the Indian sensibility and recent western fascination with colors that pop.” The Bollywood movie, Cocktail featuring Diana Penty and Deepika Padukone, also captured our attention with both of them wearing many Aztec printed outfits. Their simple and trendy look respectively made many audiences to fall in love with them. Such is the magic of Aztec Prints. On one hand where Deepika showcased the Aztec printed tops on miniskirts similarly on the other hand Diana showcased Aztec printed playsuits. You can even witness this by looking at the poster of the film. All in all, the celebrities love for Aztec prints is reaching its peak. So, are you all set to flaunt in a celebrity style look? Not only ladies, but men can also enjoy the magic of Aztec Prints. There are various options for men too like: pair of socks, handkerchiefs, T-shirts or even backpack. If you do not love the bold prints much then there is a variety that can exhibit one color with all type of shades to choose any. You can even go for a simple and elegant T-shirt with an Aztec Printed pocket. How about sober jeans with Aztec printed pockets at the back? Designers are working hard on creating Aztec printed menswear that is really subtle for men to wear. HOW TO COMPLETE THE LOOK OF AZTEC PRINTED LEGGINGS? Aztec printed leggings can go well with any of these: large sized T-shirts, subtle looking tees, knit tops, crop tops and even chiffon blouses. Depending on your choice, you can go with either multiple colored legging or with single or dual colored Aztec printed leggings. To add on, a simple clutch in the shape of envelope is the best accessory to carry with such Aztec attire. When it comes to choosing footwear, you can either go for high heels or ankle boots. So from top to bottom, you have come to know how to wear Aztec printed leggings. 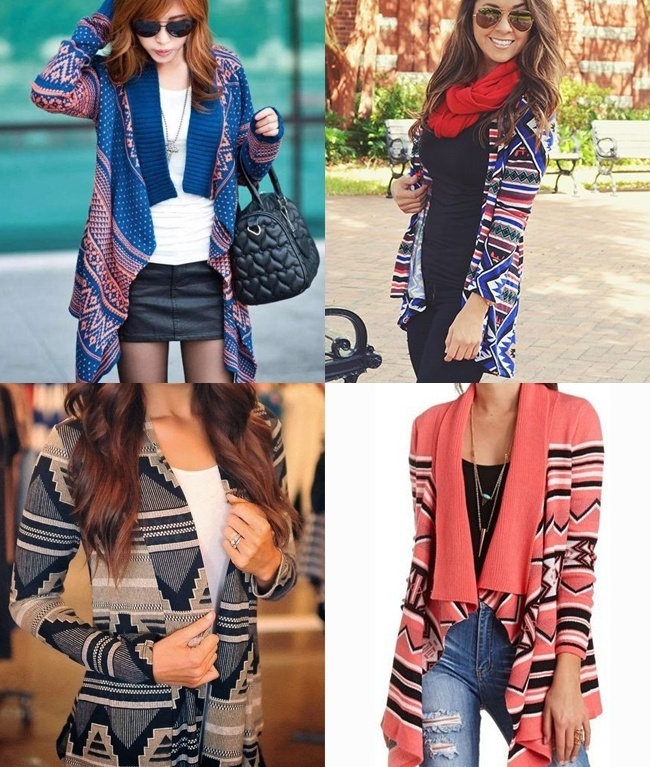 WHAT WILL GO BEST WITH AZTEC CARDIGAN? Though denim is the first choice of everyone because of its comfy feel and trendy look but Aztec Printed Cardigan can also be best accompanied with skirts and leggings, any of the two even. Prefer bold prints, if you have no objection. For more stylish look, long length necklace or funky looking pendants can also be worn. High heeled footwear will add five stars to your complete personality. HOW TO FLAIR ANY AZTEC PRINTED ATTIRE? Introduce a chunky style accessory embellishing your neck or your wrist, with any Aztec printed attire of yours. You can even opt for necklaces fastened with strikingly different buttons to become the centre of attraction. If your top is Aztec printed, make sure the bottom you wear should be simple and decent and vice-versa. In addition, always wear single colored footwear with any of your Aztec printed dress. WHAT WILL GO BEST WITH AZTEC PRINTED SKIRTS? 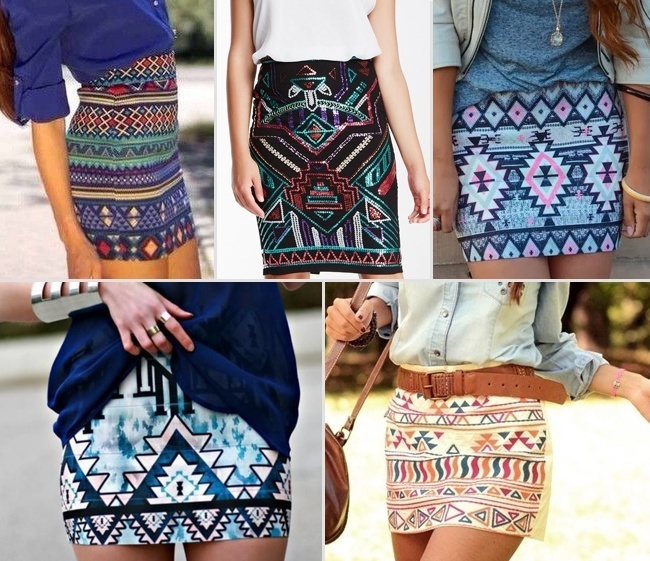 Aztec printed skirts looks lovely when you wear them with wither denim tees or buttoned chiffon tops. Funky looking bracelet and thick long neckwear will be the best accessory to go with Aztec printed skirts. Though high toes shoes will look awesome but also carry an additional pair of flats, if you are heading towards a disco party. This will help you to relax your aching feet which happened due to dancing. Apart from Aztec printed clothing, can you imagine that the fashion world brings you uncountable Aztec printed accessories too? You will be shocked to know that the list is too long to describe all of them but to highlight, few amongst them that have these prints are: phone covers, watches, earrings, phone cases, handbags, scarves, frames of spectacles, hair bands, clutches, hair pins, flats and many others. The good part is that one can carry any of this anywhere and anytime. No special occasion or event is required to do so. Such Aztec printed accessories also make a valuable and unique gift to your loved ones on any of their special days. No one could have ever thought about this! Nail art has gained a unique place in the fashion world and has firmly conquered the hearts of uncountable young girls. For the ones who are die-hearted fans of Aztec prints; you will be glad to know that there is Aztec styling nail art also. 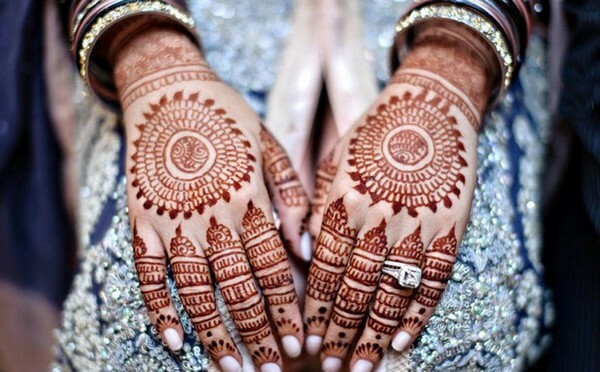 It imbibes of a huge variety of Aztec printed nail designs. So, now the famous Aztec print is not only limited to clothes and accessories but nail art has also become a major part of it. You can apply this aesthetic nail art for any of the special occasions or any simple day of yours. Do try any of these for your kitty party and see the magic! So, this is just the beginning of this modernized Aztec print and with the passage of time there will be lot more o come in the same regard. 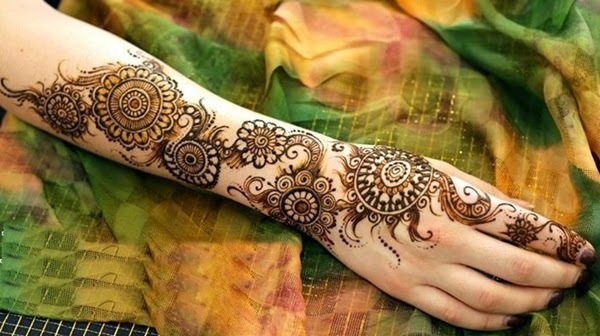 Bestow your look with a change that will be loved by everyone and be ready for more. Here, we are anxiously waiting to know about your fashionable Aztec look, so please comment about your experience. Also, share if you have any new ideas and style related to trendy Aztec prints. This is simply amazing,love to read this blog post. Your blogs keeps me updated about fashion. Thanx for reading the post. I used to recommended this site by my cousin. From your blog I learn, actually what the fashion is and how to use tribal and traditional prints to become a fashion icon. thank you so much for appreciating my work. 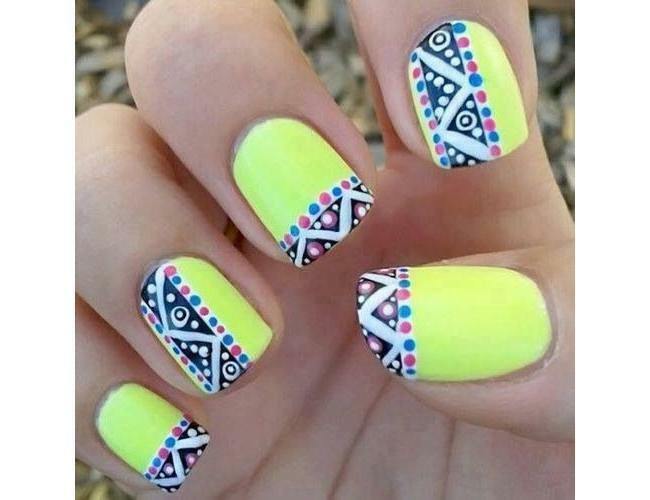 I am a huge fan of aztec prints.what i like the most is the nail art you shared here. its a very nice blog on fashion. 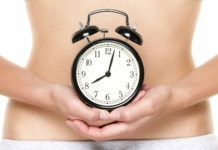 Your uniqueness is ultimately what will determine the degree of blog success you enjoy. This has been an extremely wonderful post for the fashion followers. these write ups are better informed you about current fashion. you can also get more updates on my website. I am a fashion stylist based in U.k. i really like this splendid blog post and the pictures of tribal aztec prints you shared here. i would like to design something for you. I got your mail,I wish to meet you personally. Thanx for appreciating my work. gud luck to you too.